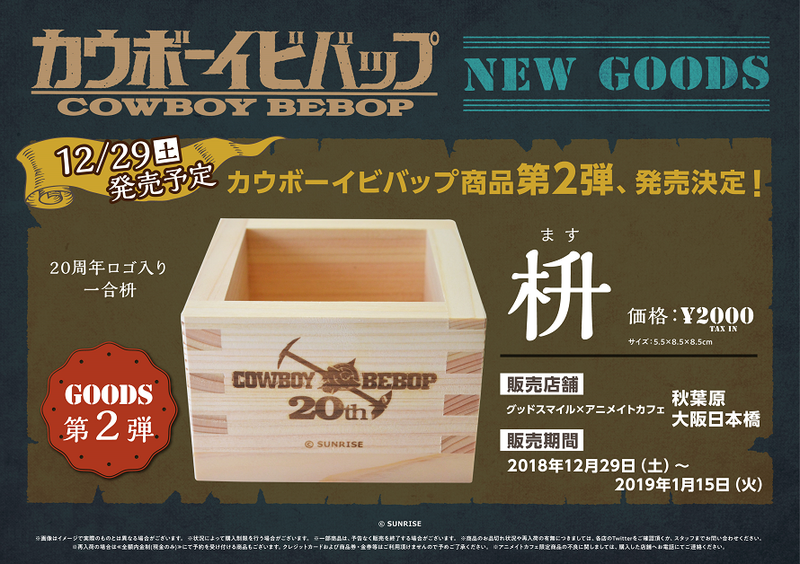 Cowboy Bebop (カウボーイビバップ) is a Japanese space-western anime that is celebrating their 20th anniversary this year from their 1998 release. This collaboration will be held for a second time with Goodsmile X Animate Café. To view our article on the previous café held earlier this year from May-June please click here. This collaboration café will be held in Osaka & Akihabara, Japan for a limited time between 12/13/18 - 1/15/19. An original menu, order benefits, exclusive merchandise and more will be available! This café will have a different menu & operation hours for Lunch & Dinner. The shop will be closed between 16: 10 - 16: 40 for the menu swap. Reservations are not needed to visit this café. In case of heavy congestion the shops may utilize a numbered ticket system. At that point please follow staffs directions. 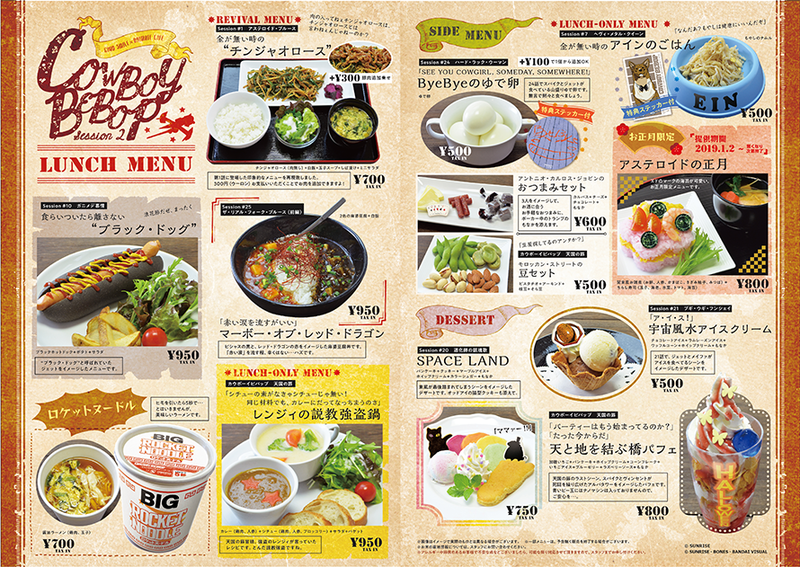 Customers who order off of the Cowboy Bebop limited-time menu will receive an original coaster (1 out of 15 designs) at random per order. Order benefits are only given out while supplies last and you may not choose your coaster design. This collaboration will be held at 2 location(s) around Japan. Please be sure to verify the date, time, location, and reservation status of the café closest to you before visiting as these details may differ from location!